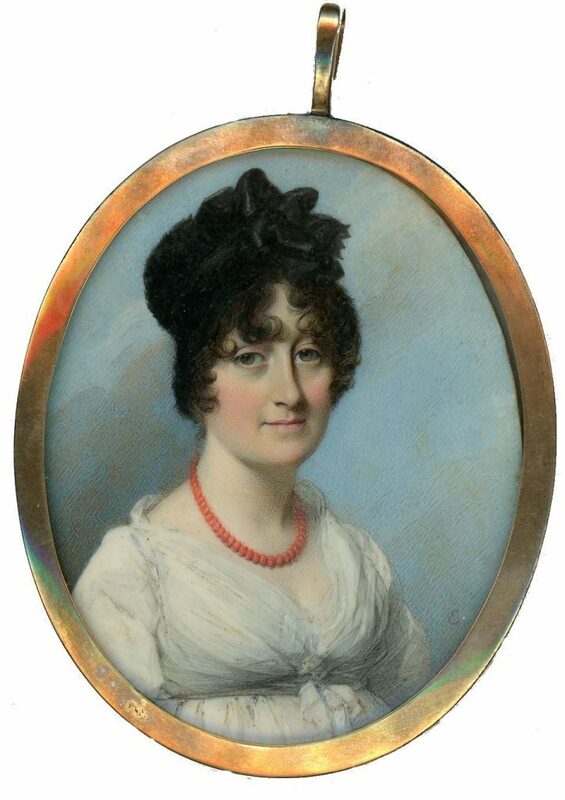 By 1805, when this portrait was painted, George Engleheart’s career as a miniature painter was well established and he had progressed from painting small oval images to producing larger and bolder portraits as demonstrated by this example. By capturing his sitter’s direct gaze, he has here created an engaging portrait. 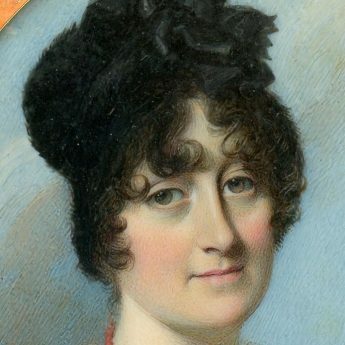 The lady is wearing a white muslin dress in a style that was then fashionable with a low décolletage offset by an underslip and with a high waist secured with a ribbon tie. Her coral beads add a splash of colour that contrasts well with her dark curled hair which is topped with a neat black hat trimmed with a ribbon bow. 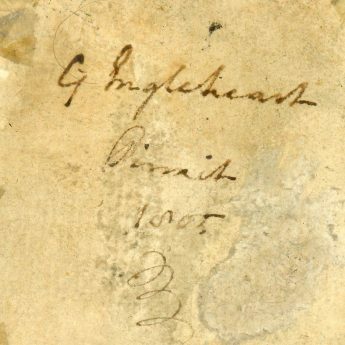 The portrait is signed bottom right with a cursive E and is further signed in full on the verso ‘G. 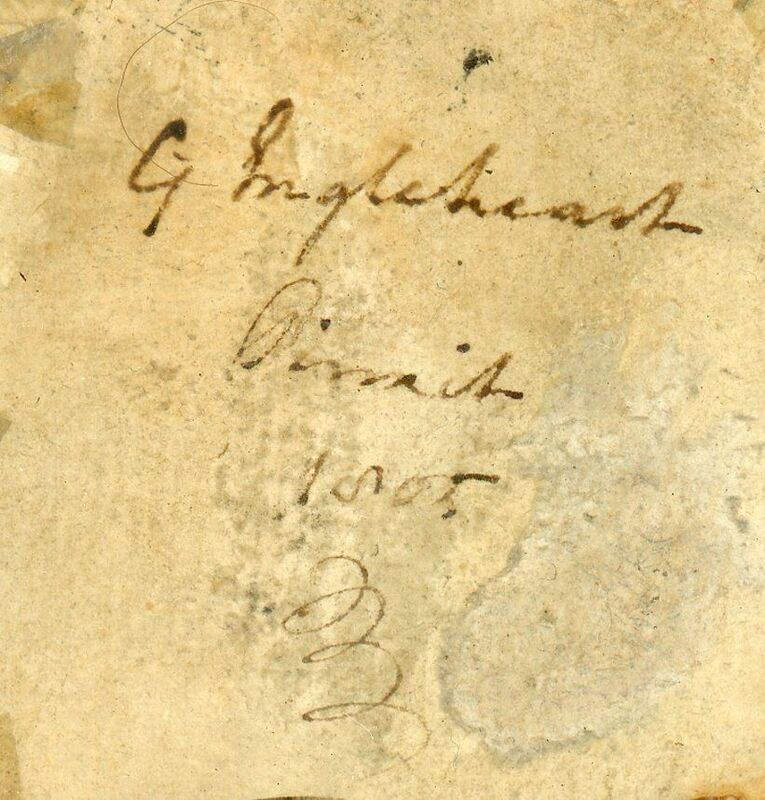 Engleheart / Pinxt / 1805’. 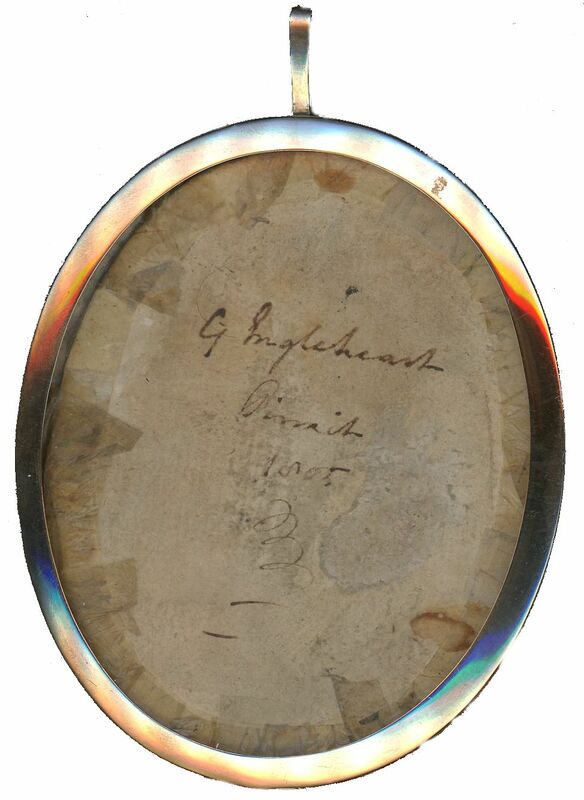 It is set in a gold frame that is also glazed on the reverse to reveal the artist’s signature. 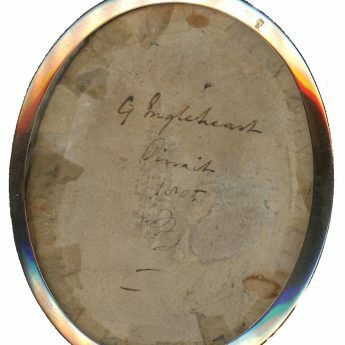 George Engleheart (1750-1829) ranks amongst the most talented of the artists that were working during the Georgian heyday of portrait miniature painting. 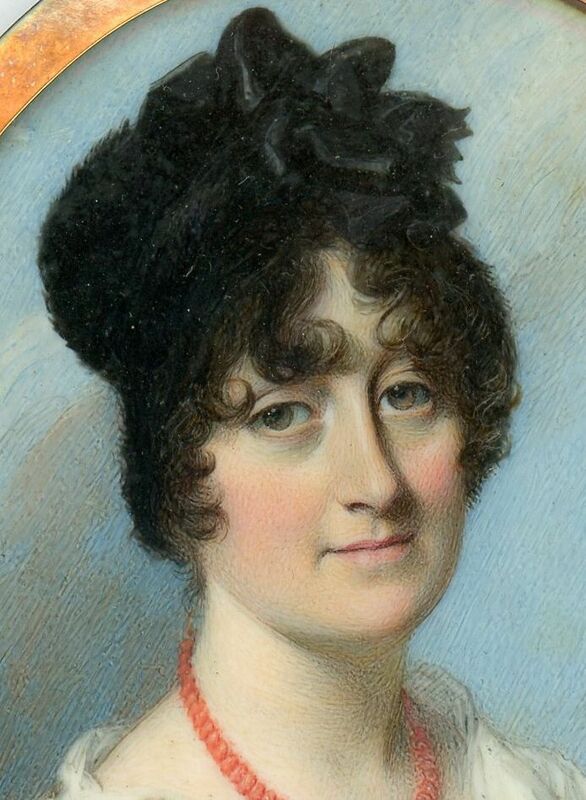 His meticulous records of the portraits he painted each year reveals that Engleheart only painted fourteen ladies in 1805 but, without so much as an initial as a clue, it has not been possible to identify this particular lady.